One of my favorite things about returning to skateboarding as an adult has been getting to know all the amazing people doing it. Skateboarders, in my experience, are more creative, artistic, and entrepreneurial than the average person, and I’ve found Mark Sisom to be especially so. Not only has Mark been riding surfboards, snowboards, and skateboards practically his whole life, he is also a successful musician and talented graphic designer. Mark’s earliest surfing memories date back to 1983. His fondest memories include traveling the world as a sponsored competitor in the Eastern Surfing Association for over 15 years. And he’s still making surfing memories. On the mountains, Mark began snowboarding in the late 70s when it was still called “Snurfing.” He got a first generation Sims snowboard in 1985 and hit Vernon Valley that same year, the first season they allowed snowboards. On a skateboard, he was an Eatontown Roller Rink regular and later he helped open, build, and promote the legendary Casino Skatepark in Asbury Park. 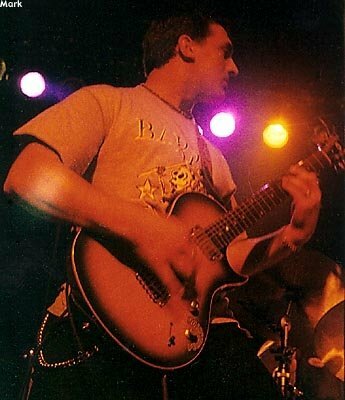 Musically, Mark’s started playing guitar in 1987 and after meeting Barry Petersen at Casino Skatepark, they formed Barry and the Penetrators, which is still going strong 18 years later. After graduating Monmouth University with a degree in Fine Arts, Mark has been working as an independent graphic designer and visual communications artist designing for some of the biggest companies including for many surf and skate companies and shops. In 1996, along with a couple friends, Mark created, designed, and launched Rare Breed Magazine. 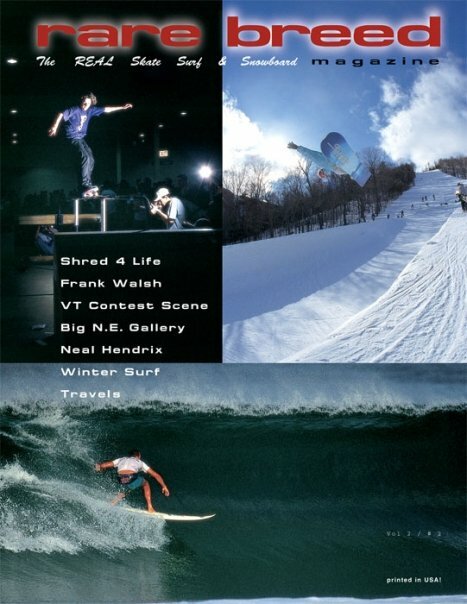 For 2 blistering years it became an innovative, groundbreaking landmark in the surf, skate, snow, & lifestyle media world and broke ground for how the East Coast would be represented in the board sports world. He’s also written and laid out content for many other magazines like Juice, Resolve, Carbon, and Garden State Surf. 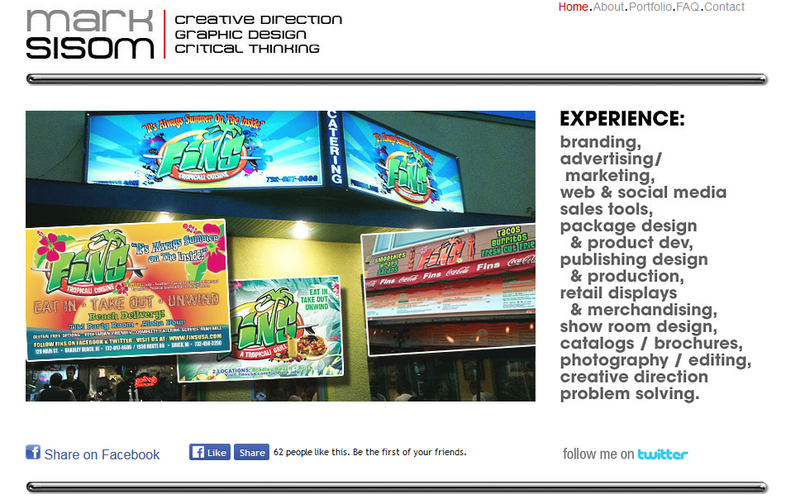 With his company Mark Sisom Design, Mark created all the branding, signage, menus and advertising for FINS Tropicali Cuisine based in Bradley Beach. And since its founding in 2003, Mark has also been the Creative Director and Producer for the Belmar Pro surfing competition. He designed all the branding for the event which has grown to be one of the top 5 largest professional surfing competitions in North America. 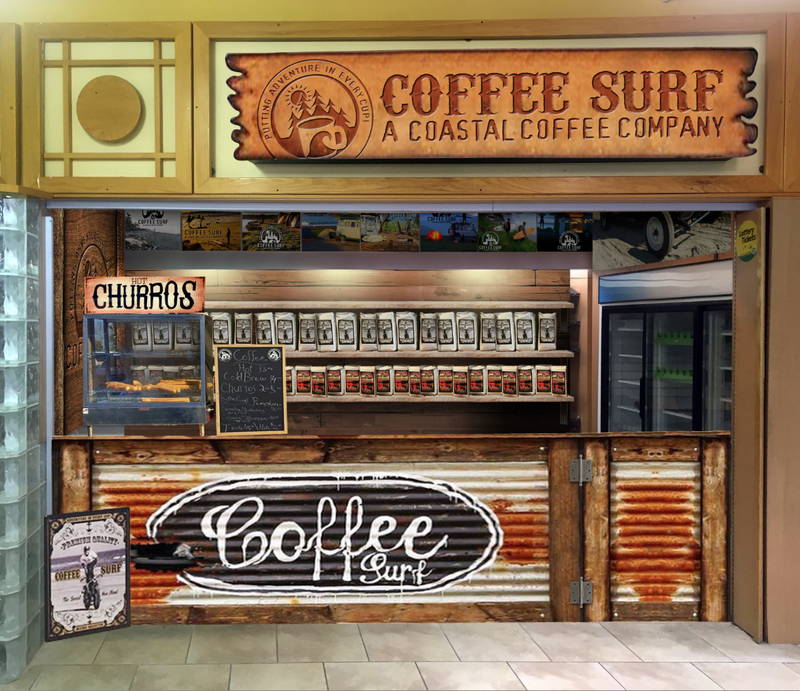 And last year, Mark team up with Barry Petersen again to design all the branding for Coffee Surf. Not only is all of their design work beautiful, but the Coffee tastes great! 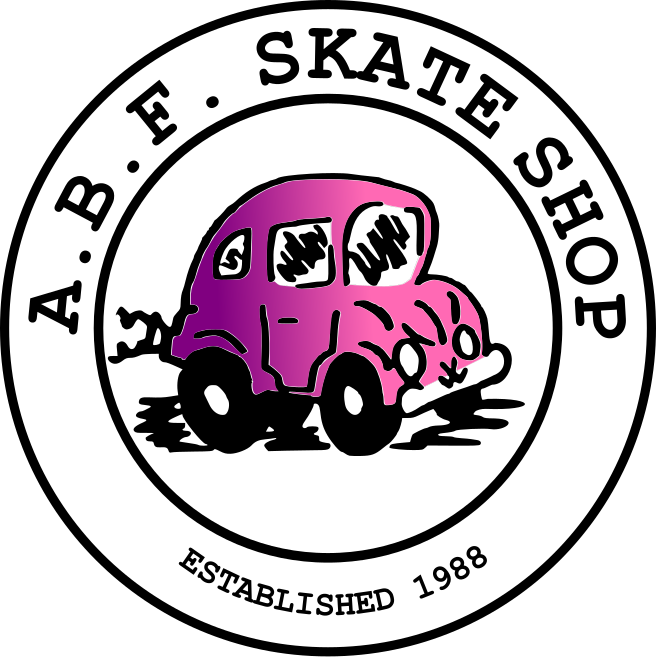 Mark is busy but is always available to help you with your website,logo, or any other graphic design services you might need. Check out his website, www.marksisom.com, and follow him on instagram and twitter at @marksisom. 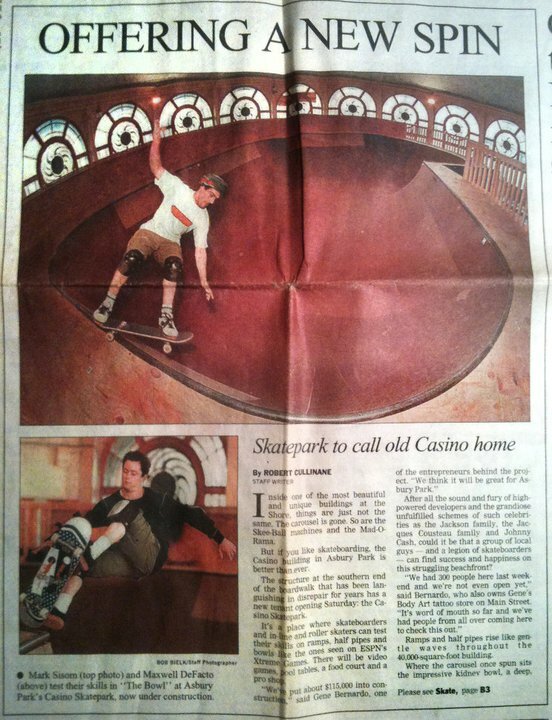 Mark Skating at Casino Skatepark, featured in the Asbury Park Press. So F-ing Coll and, So Well Deserved. Always in the background, & totally there when you need im’! Power Surfer, Skater, Snowboarder, & Designer Nuff Said! Thanks for all your dedicated Help over the years. Awesome Brucey! Thanks for the kind words! Much love buddy! See you soon.